If you would like to get acquainted with the measurement of End, and also visit the End City near Central Island , then this seed for Minecraft Pocket Edition is just for you! It is required to go into the mode of “Creativity”, since for the travel blocks and tools that are extremely difficult to obtain in other modes will be required. Everything will take less than 5 minutes to get to the End (in creative mode). How to find the city of the End? To get into the End dimension, you need a portal there. 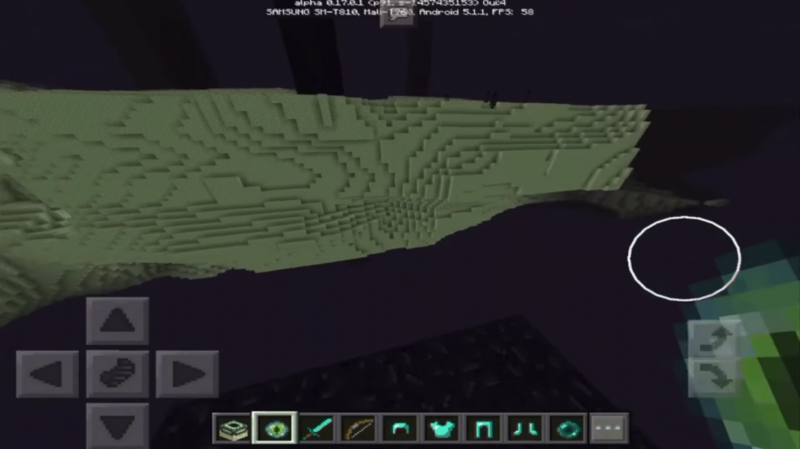 In MCPE, there are several ways to get into another dimension. 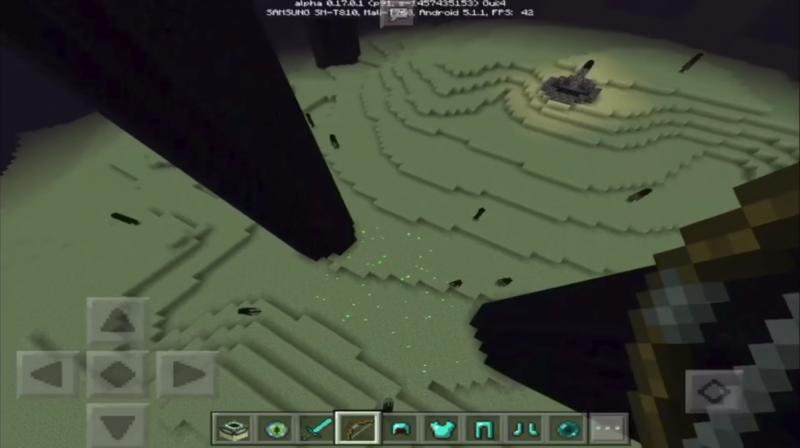 If you chose Creative mode, then just place the necessary blocks and tools to build the portal into inventory. If the mode is Survival, then find a fortress in which there will be a room with a portal to the End. Once you get to the End, you find yourself in a small room on a huge island. There will be around the Wanderers, and above you fly the Dragon of the End. Find the area shown in the picture below, and then fly further by about 200-300 blocks ahead. Pretty soon you will reach the next defunct massif. And there’s a stone’s throw to the city of End. Of course, there are other cities on those arrays, but the above described is the nearest one.